Taste of Runway is an act of design, born on an apparently quiet day, an affair of the heart created to share the pleasure of life and give a different taste to fashion. That special taste that can be found only in the kitchen, where every ingredient creates magic, and stories of flavors and people merge together. In the Taste factory we do research, we cook, we take pictures and, lastly, we eat. 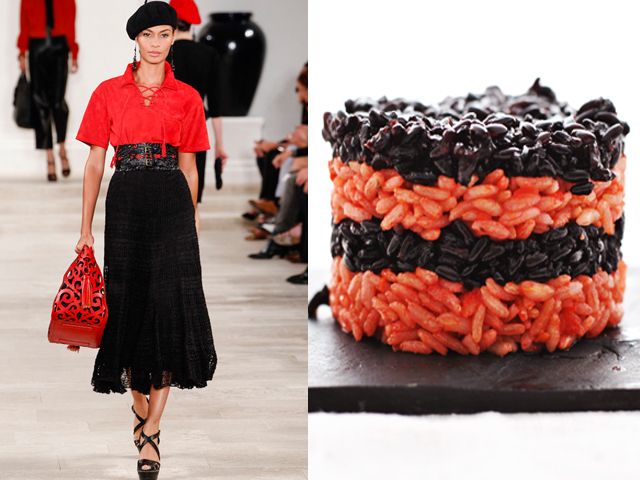 Taste of Runway actually contains a list of recipes inspired by famous fashion designers’s outfits. Check the gallery of fashion/food recipes pics. Love, Marilyn: the secret diary on screen!